Get our sister program 30BBM at 30% off! 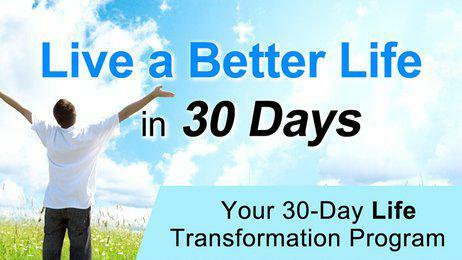 Live a Better Life in just 30 days with this in-depth self-coaching program! "What a ride. I can actually say that in just 30 days I can now live a better life. It was a place I knew I wanted to go, but this program has given me all the gifts to practice it." "Thank you for this amazing journey. I started the qualification I wanted to do for years, made a plan for my fitness, and helped a young person find his way in life."